Fired from his job because of erratic behavior, David Warren fixates on the bank’s refusal to increase the company’s credit limit as the cause of his downfall. Angry and desperate for money, he sees robbing the bank as fitting payback. With his money secure in the stock market, David vacations at a sailing school in the Virgin Islands owned by Billy Sebren, the bank’s wealthy CEO. Liking the lifestyle and learning the training yacht is for sale, David robs another branch of the same bank to make the purchase. 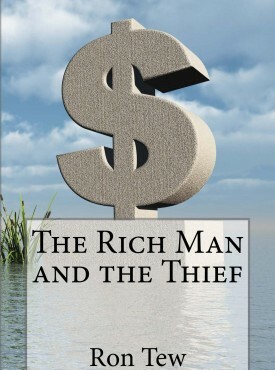 When the Sebrens figure out who robbed the bank and used the money to buy their boat, Billy and wife Katie fly to the islands, intent on finding David and recovering the bank’s money and their property. For Billy Sebren, the hunt is now personal.